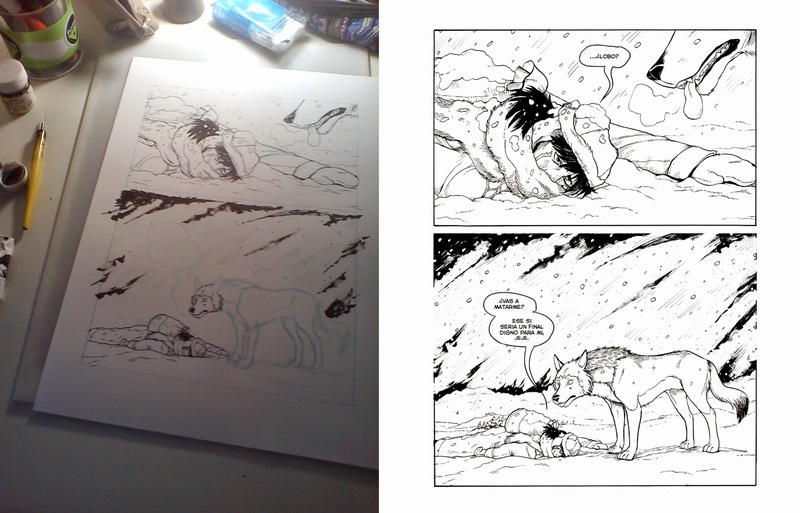 I have almost all the pages corrected by now, mainly the first part which was drawn a looong time ago. To save time, I printed them directly in blue (I take that color channel away once I scan it).For that I got a nice A3 scanner-printer. It actually prints horribly, but it does the job for the task I give it. I bought a nice batch of paper so it time to ink 4 or 5 pages per week I hope, must work for food on the side as always. I'm not sure if I will add the greys like the rough version, so I'm trying to use more blacks for the backround mainly. Time will tell if I can add greys, but first to ink it all.